The entire City Council has sent a letter to Mayor Catherine Pugh urging her to resign from her position immediately. The mayor, however, said she intends to return to work. "The entire membership of the Baltimore City Council believes that it is not in the best interest of the city of Baltimore, for you to continue to serve as Mayor," the 14 council members said. "We urge you to tender your resignation, effective immediately." City Council President Bernard C. "Jack" Young is currently acting mayor. He was copied on the council's request. Should Pugh resign, Young would succeed her. Young himself has said he intends to run for re-election as council president, though he has asked the city solicitor's office to review a 90-day period of contracts awarded by the Board of Estimates. 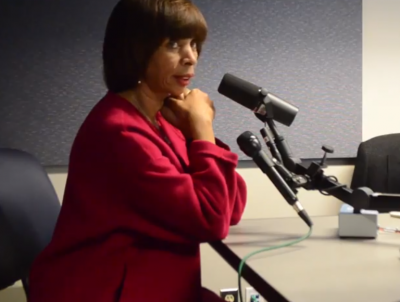 On Saturday, a spokesman said Pugh's health is improving and she intends to return to work as soon as her health allows. She reiterated that in a statement after the letter was made public, saying through a spokesman she "fully intends to resume the duties of her office and continuing her work on behalf of the people and the City of Baltimore." Her recovery from pneumonia was given as the reasoning for her indefinite leave of absence. However, it came amid increasing scrutiny and the start of a criminal investigation by the state prosecutor into her business dealings. James T. Smith, a former Baltimore County executive and a top aide to Pugh, resigned Friday. Speaking to Bryan Nehman, Councilman Brandon M. Scott said the growing scandals around Pugh distract from more important issues facing the city. "With the continued investigations, the city will continuously have a cloud over its head while the mayor is in office, and she cannot focus on the business of the city while these investigations go on," Scott said. "Baltimore deserves a mayor that can do that, and that clearly at this point cannot and will never be her again." Councilwoman Mary Pat Clarke told Anne Kramer that Pugh's resignation was needed to restore stability to City Hall.